Winter seemed to drag on forever and it feels like we went directly from winter to summer. Spring was almost non-existent, but hey, as long as winter is long gone, I’m okay with that. What’s even weirder is that we’ve had a few days in the 50s and 60s, so I think Mother Nature is just as confused! 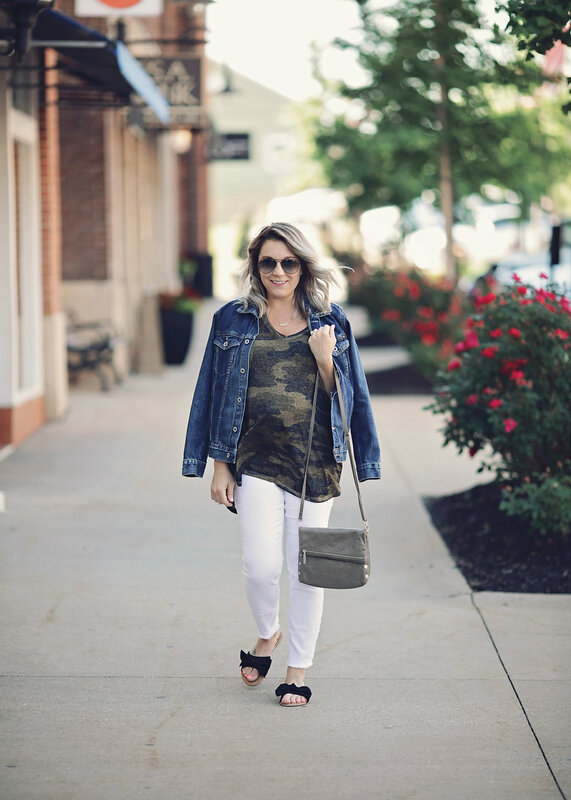 Being pregnant in the summer has also been a challenge, but I’ve really tried to grab a few staples and not go overboard on clothing. Since this is the last kiddo, no need to have an extensive maternity wardrobe! 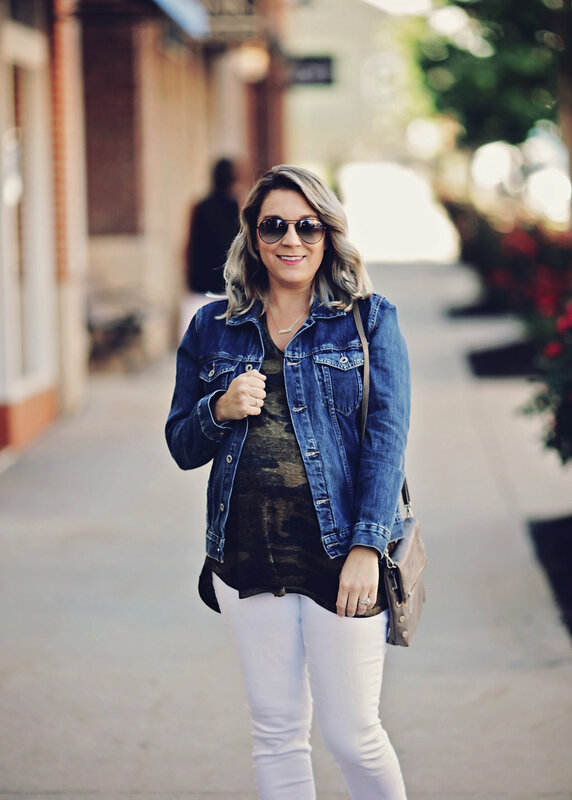 One thing I love to do is size up on pieces that can easily be worn after the baby is born. I ordered these Lucky Brand tees from Macy’s because for now, they fit nicely over my bump. And they could easily be tied on the side or tucked into jeans for an oversized look after baby. 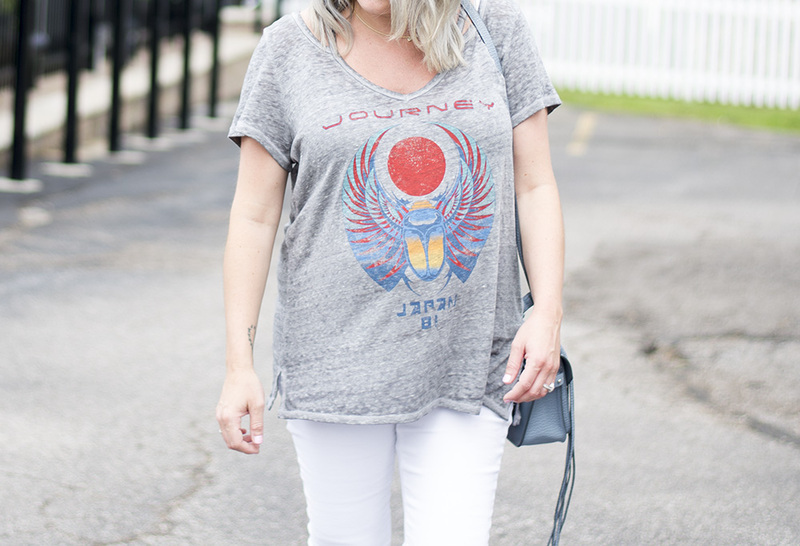 Everyone needs a good classic camo tee and I loved this distressed Journey band tee too. They’re seriously SO soft and you could either wear them for a quick trip running errands or dress them up for a night out. I always love a good challenge and figuring out how many different ways I can wear something. This jacket from Lucky Brand was another must have. I sized up a few sizes because oversized denim jackets are always in style. So even after baby, I will be able to wear this and get away with it. I love wearing jean jackets over my shoulders but I also wanted to show you how cute it looked in the traditional way as well. 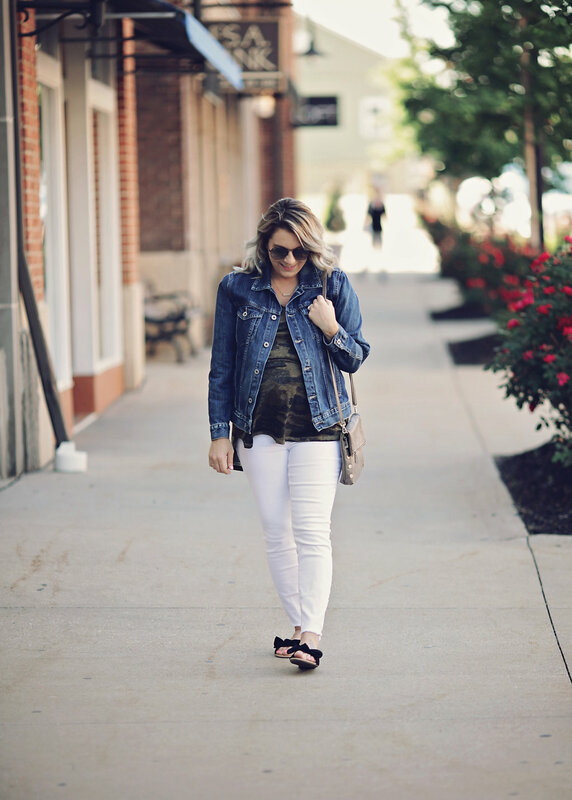 I also love Lucky Brand jeans but unfortunately, this belly is a slight issue when it comes to jeans right now! But they have a ton of cute styles in traditional denim, white, black, and embroidered. But seeing them is totally motivation to get back down to my pre-baby weight ASAP! Just in time for fall 🙂 The best part about jeans is that you can wear them year-round so again, staples and something you always need. What are some of your favorite pieces for summer? 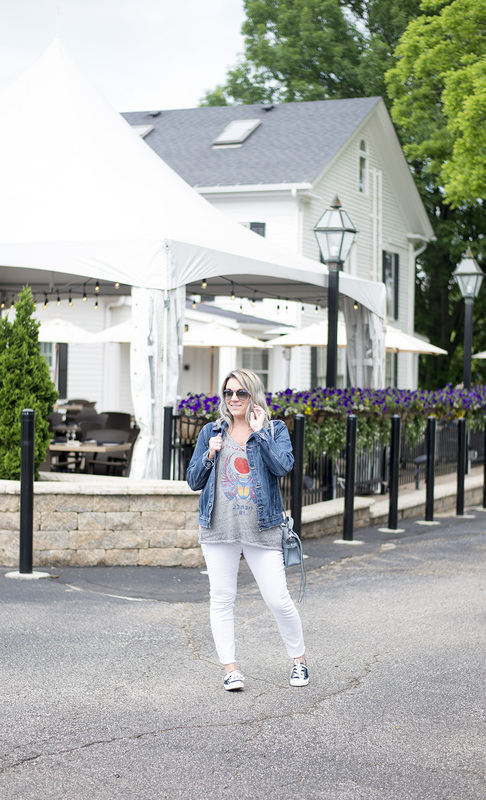 Do you buy staples or trendy pieces?